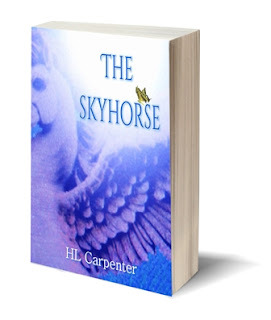 HL Carpenter is here with their fabulous middle grade fantasy The SkyHorse. This entertaining novel nails life as a young girl with all the good and the awful. A excellent read for all ages. Tovi thinks finding a flying horse is fabulous luck - until a mysterious stranger says finders aren’t always keepers. When fourteen year old Tovi Taggert moves to Honeysuckle Hollow to take care of her grandmother, she has a hard time fitting in. For one thing, she’s been tagged with the hated nickname Too-Tall Tovi. For another, everyone at Honeysuckle Hollow High believes Tovi played the Choking Game with someone else’s boyfriend – and made out with him besides. She takes the egg home – and mysterious visitors begin appearing almost immediately. Even more worrisome, whatever is inside the egg starts chipping its way out. As she struggles to return the horse to the magical land where he belongs, Tovi must make a courageous decision – and accept what that decision will cost her. They want me to cry. I stand in the middle of Honeysuckle Hollow High’s noisy hallway, towering over everybody. Kids swirl past like blobs of sea foam. No one meets my gaze. No one stops. No one offers help. Why would they? They only know two stories about me, neither of them good. They also know interfering with the three girls in front of me will bring the wrath descending on them instead. I did want to be their friend. I do want to be their friend. Tears well in my eyes. I will not cry. I will NOT. It’s all mental, Tovi. You can’t cry when you’re smiling. Gramma’s always saying stuff like that. Sometimes what she says comes in handy. Like now. I force my lips into a fake smile, the only defense I have. Almost. I can also rely on what Mom calls my smart mouth. “You’re no friends of mine, either.” The words settle my nerves, the smile dries my tears. Thanks, Gramma. You were right. It is all mental. The three of them glare at me. Jen’s hand clenches around the strap of her black backpack, as if she’s barely keeping herself from clawing my eyes out with her fingernails. Red splotches spread across her skinny neck and her green eyes glitter as brightly as sunbeams off the waves in the Gulf of Mexico. She looks like a mutant sea turtle. Even smart-mouthed me knows better than to say so. “Stay away from us, you…you giant. Stay away from the game tonight. And stay away from Chase. He’s my boyfriend.” She whirls and shoves through the crowd, her straight blond hair splashing against the back of her shirt with every step. I wish I could. That doesn’t seem like the right response either. M.J. jerks her head at Terri. The two of them hurry after Jen. They stomp through the double front doors of the old school building without looking back and disappear into the waiting bus. I didn’t cry. I won’t cry. A weight heavier than my book bag and as real anchors me in place. The fake smile and false courage ebb. I tremble as I stand in the middle of the hallway, interrupting the flow of students like a boulder in a river. A five-foot-eleven and three-quarter-inch boulder. Kids stream around me, bump into me, rush past me, gush out the door to the parking lot. It’s Friday afternoon, the last day of the first week of school. A few hours ago I was as anxious as everyone else for classes to be over and the weekend to start. That was before Chase Webber told Jen what happened in Honeysuckle Hollow Park last night. No, that’s not true. He told her his version of what happened. I don’t know why he lied. All I know is I didn’t tell about the Choking Game and I didn’t make out with Chase. Well, not exactly. I mean—oh, what’s the difference? Jen’s not interested in my side of the story. I trudge out of the brick building into the Florida September afternoon. Chase has lived in Honeysuckle Hollow all his life. He’s hot. He’s smart. He’s popular. Of course Jen would take his word over a newcomer who arrived in town two months ago. A giant she nicknamed Too-Tall Tovi. Even so, I hoped she would listen to me. I thought she was my friend. I thought Chase was too. And I’m going to have to sit in the school bus being ignored by Jen, M.J., and Terri and surrounded by the whispers of everyone else. My stomach sinks. Where’s the bus monitor? Mrs. Morrison, the principal, is on duty today. She has her hands full with a group of tenth graders who are chucking the week’s assignments into the air. I hurry down the sidewalk in the opposite direction. At the end of the building, I turn left and look over my shoulder to make sure I’ve gotten away without being spotted. Chase and his duo of best buds are leaning against the side of the building, smoking cigarettes from a pack one of them probably shoplifted. All three wear cowboy boots, jeans, and dark mirrored sunnies. They look like a country band. They’re all beyond cool. Six reflections of my brown eyes stare back at me in the surface of their uptilted sunglass lenses. My hair sticks out. It never stays in the ponytail holder. Why am I worried about what I look like? Real friends wouldn’t care what I look like. His thick dark eyebrows crawl into a frown. They resemble fat, fuzzy caterpillars as they disappear beneath the metal frame of his sunglasses. The three of them start laughing and poking each other. I walk through the stink of sweat and cigarette smoke mingled with body spray, holding my head high. Ted and Ray hoot with laughter and reach out to grab me. I dodge sideways and break into a run. 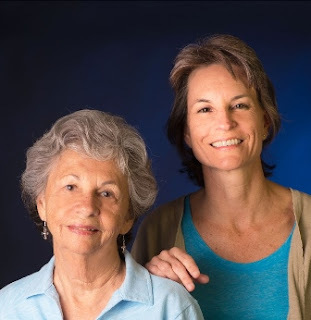 HL Carpenter is the pen name of a Florida-based mother/daughter duo who writes from their studio in Carpenter Country, a magical place that, like their stories, is unreal but not untrue. When they're not writing, the Carpenters enjoy exploring the Land of What-If and practicing the fine art of Curiosity. Learn more about HL Carpenter and their multi-genre books on their website and their Amazon Author Page. Stay connected on Pinterest, Linkedin, and Google+. Thanks for sharing your blog with us today, Sloane! Love the title of the post. Big hugs and congrats on getting this fantastic book back on the shelves, Helen and Lorri! Best wishes for a bestseller, my friends! Thanks, Sharon, and right backatcha with the TimeKeepers series. What a beautiful book cover. It sounds like a wonderful read. Congrats! Thanks, Viki! We really like the cover too! Hey you two. Congrats. Love the cover. Hope Too Tall gets her licks in at last. Congratualtions and wish you every sucess with The Skyhorse.